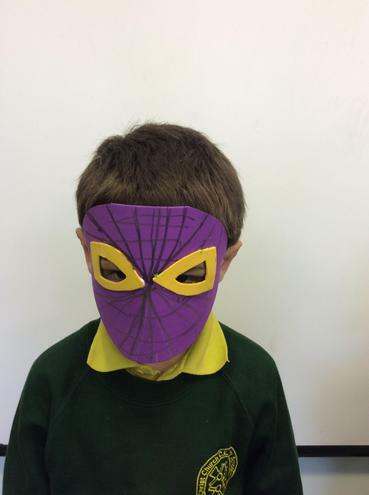 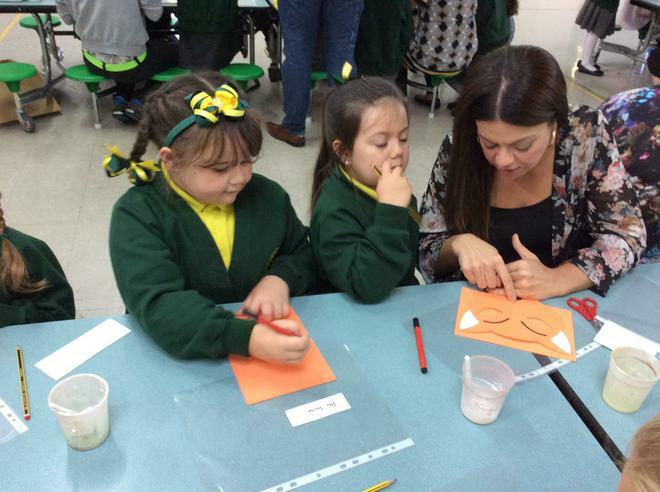 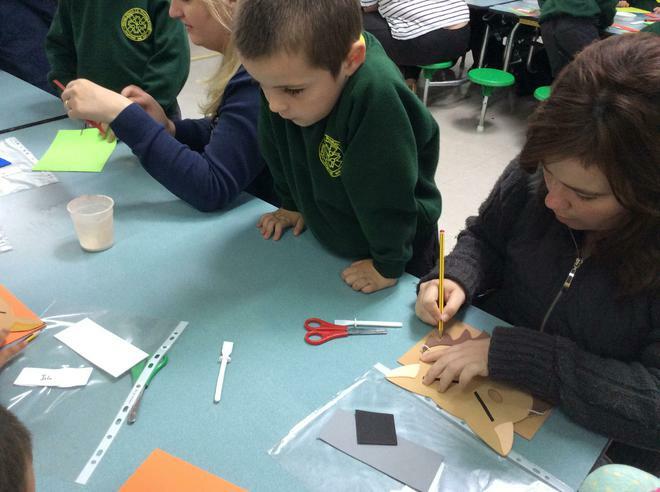 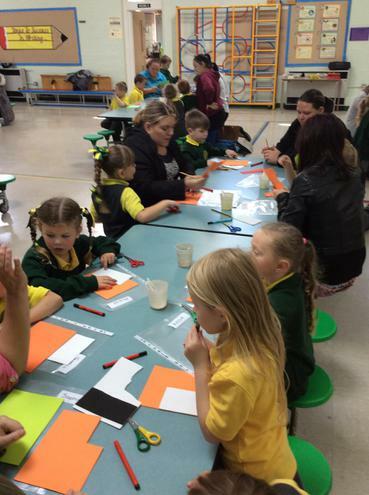 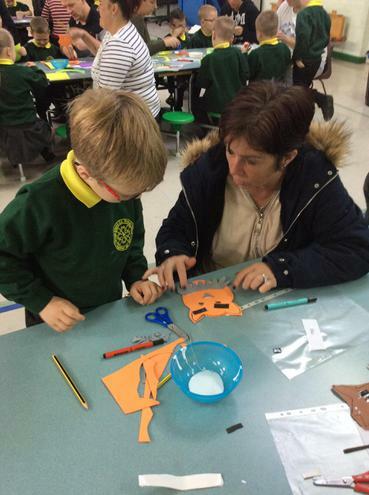 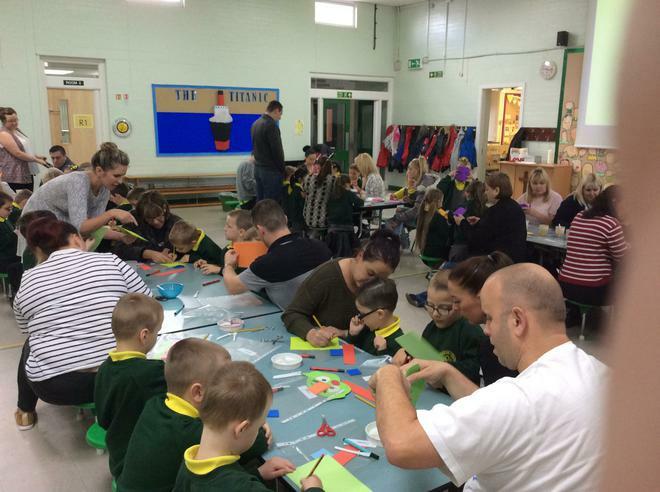 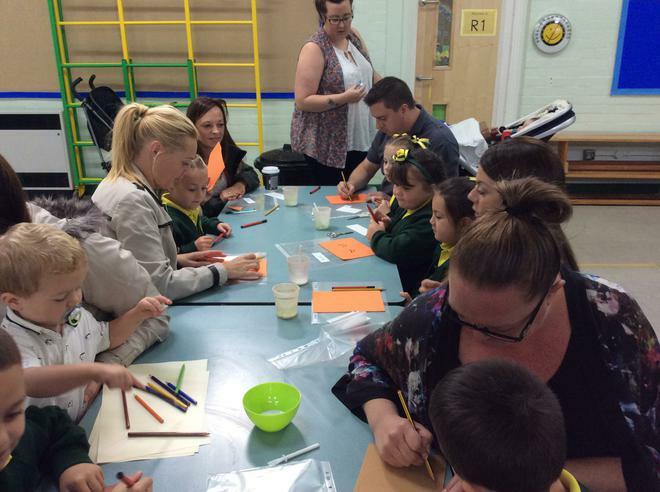 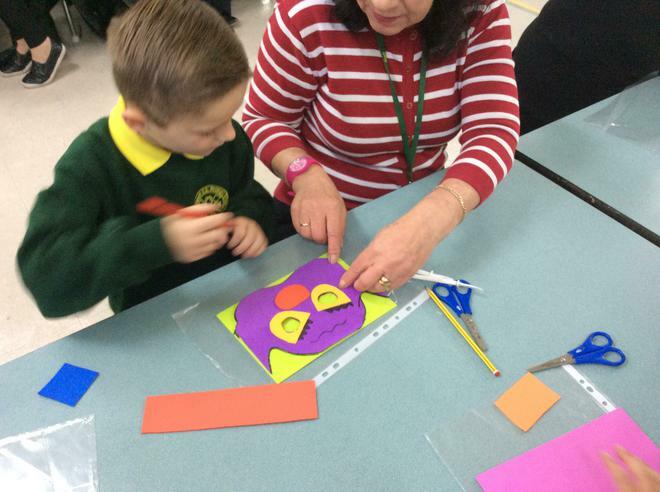 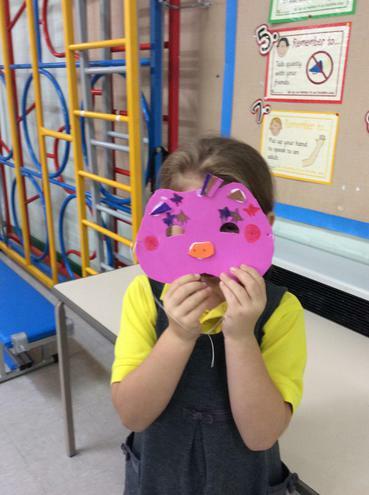 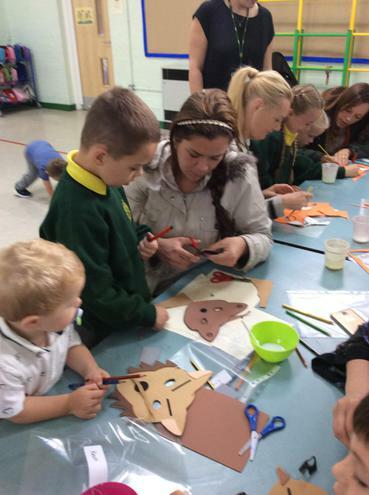 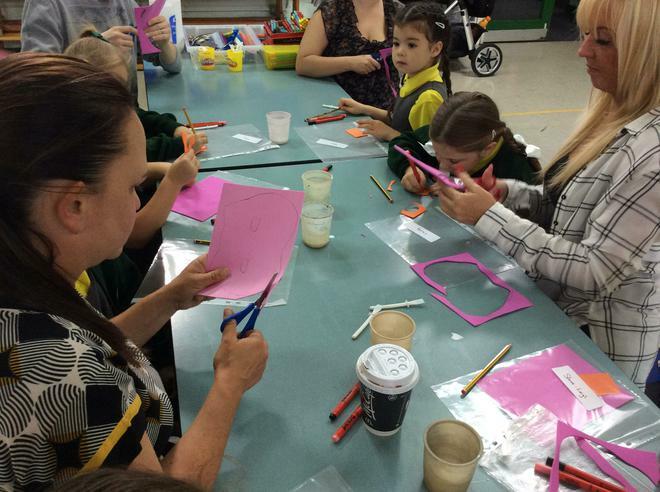 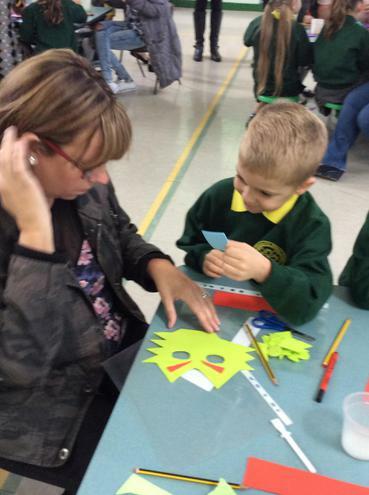 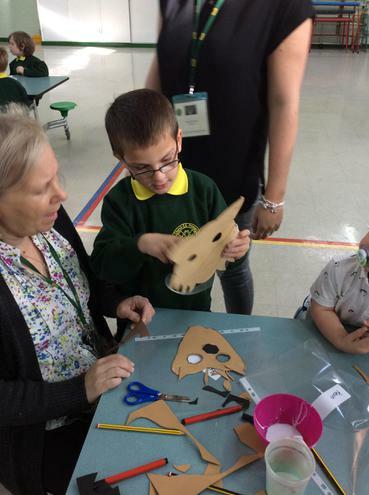 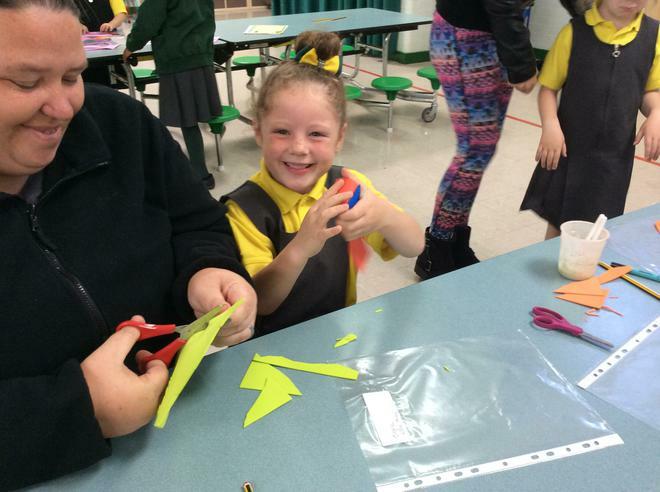 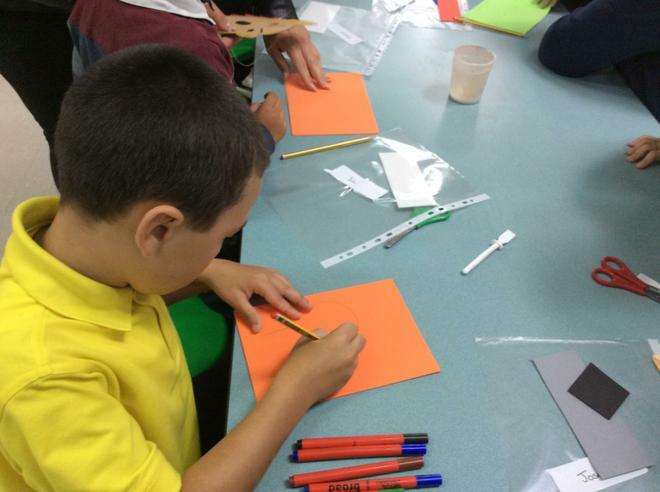 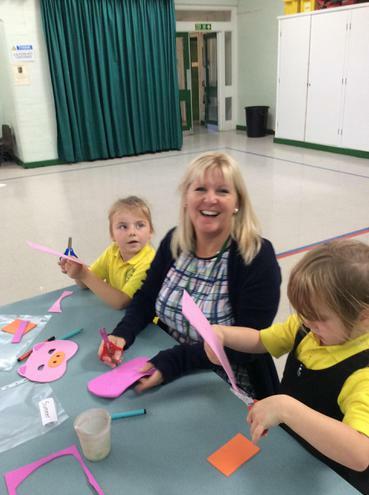 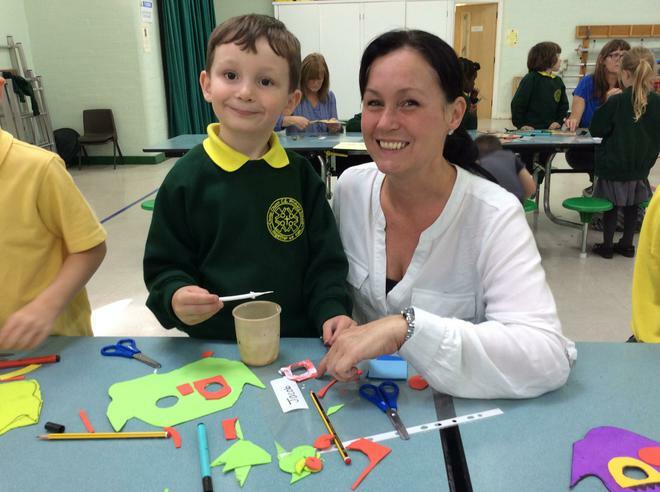 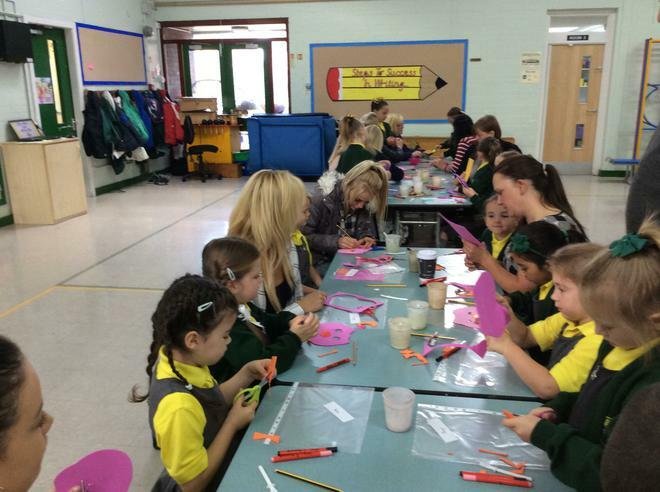 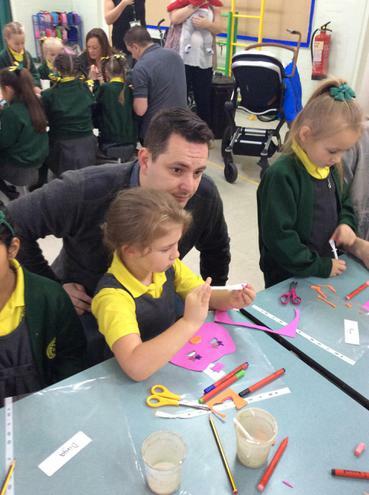 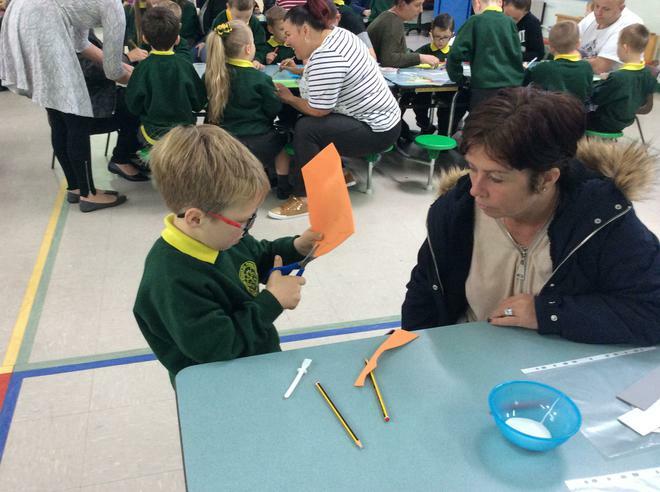 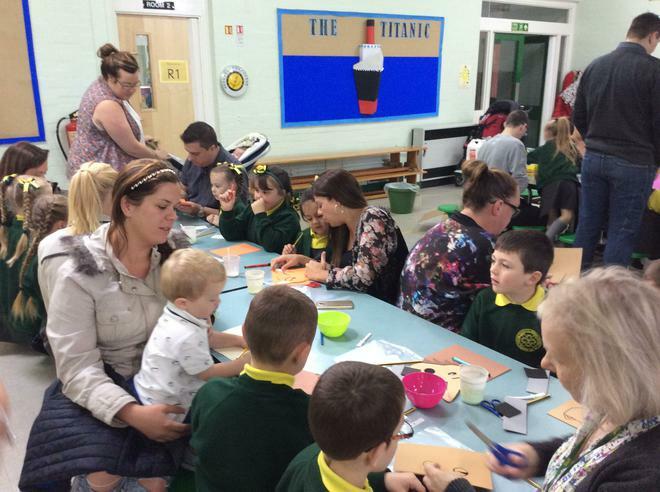 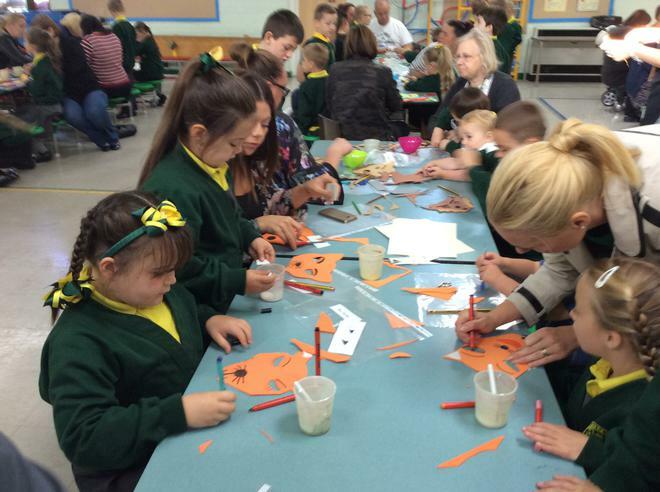 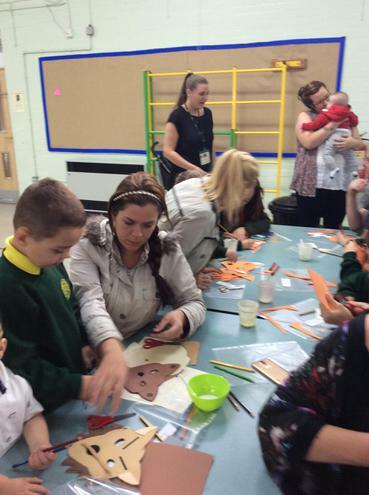 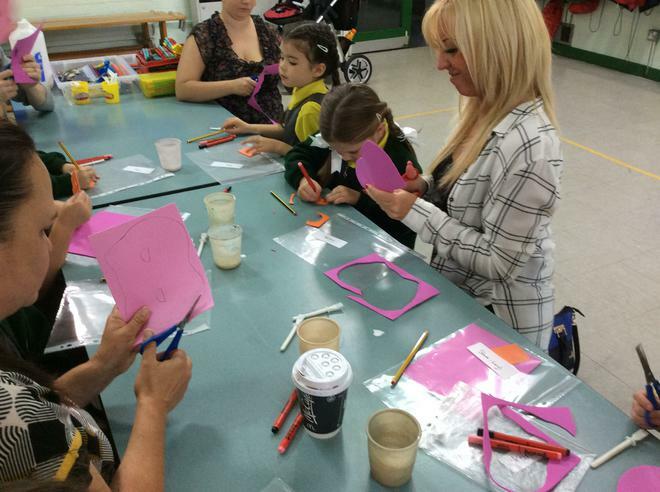 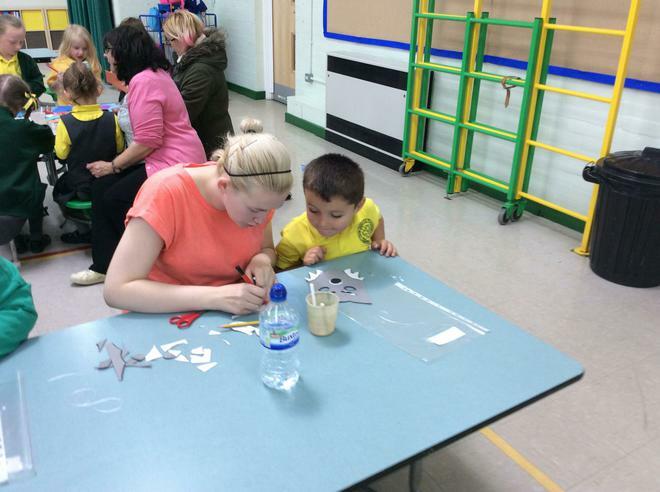 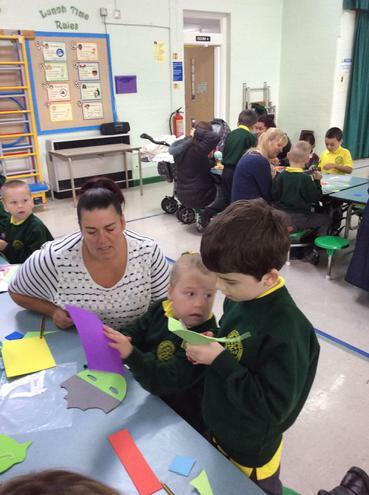 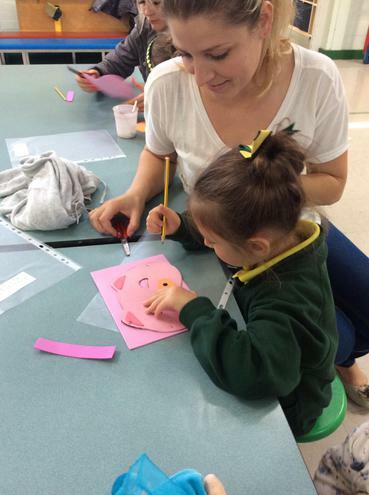 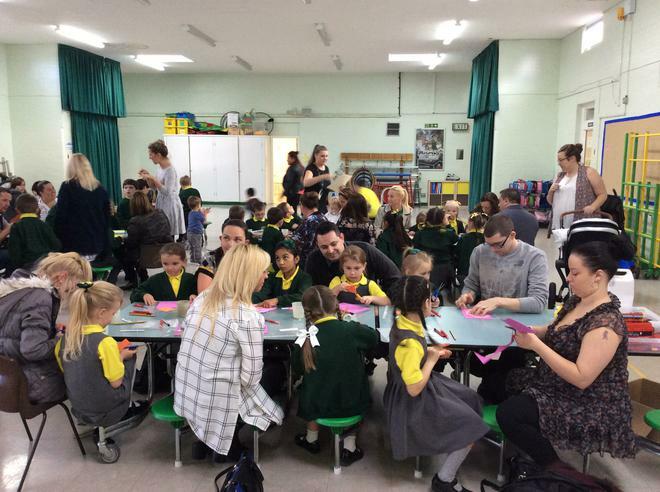 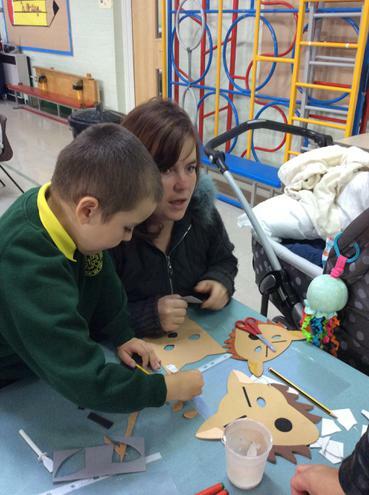 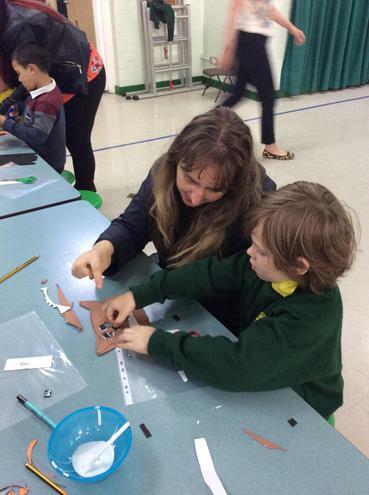 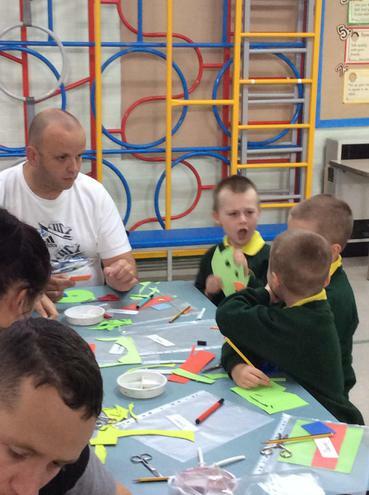 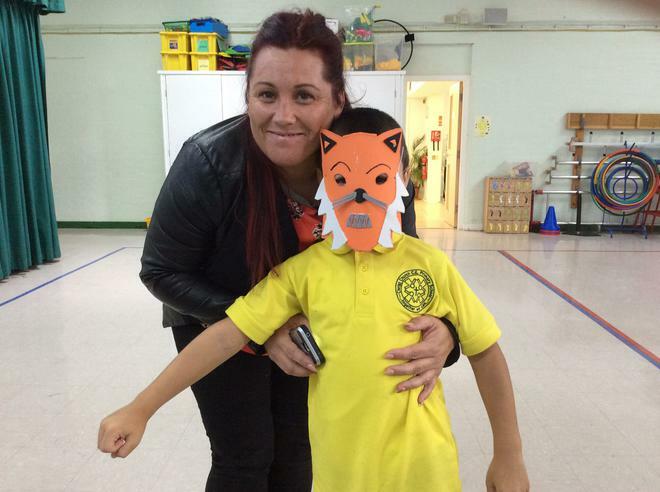 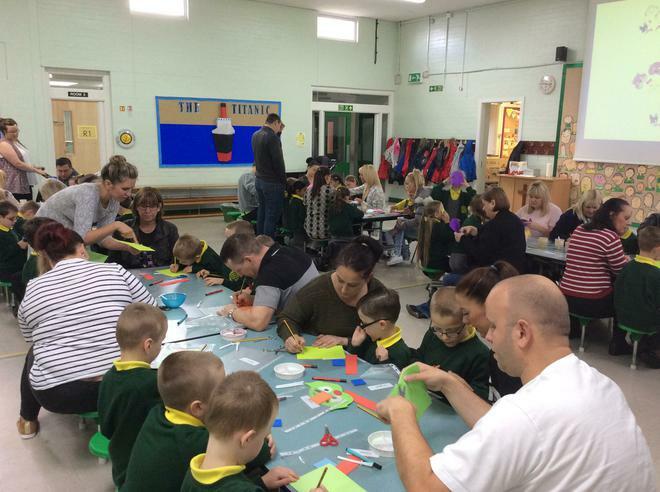 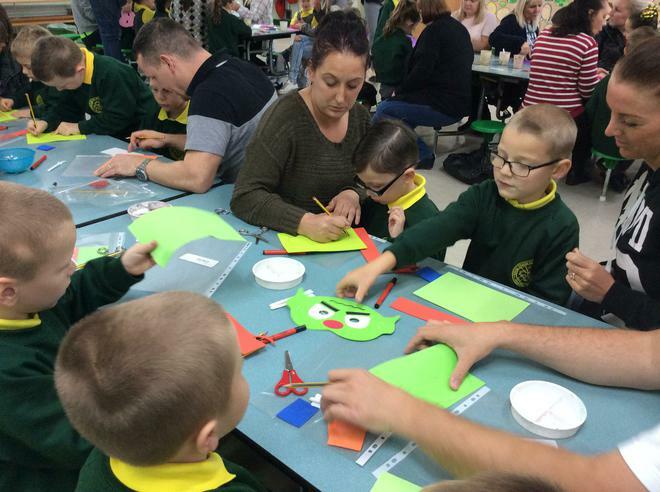 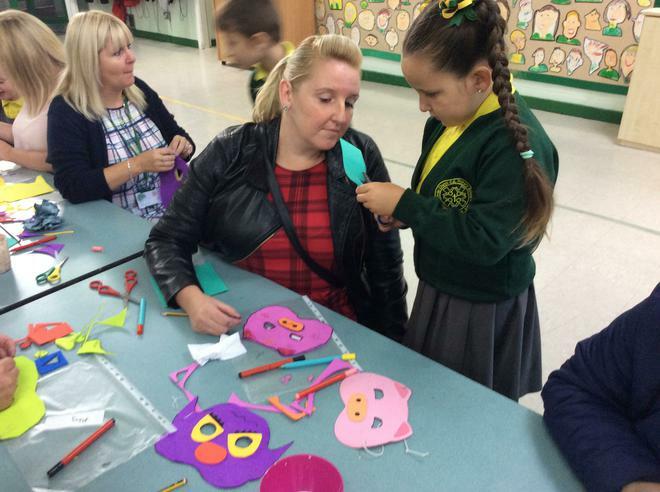 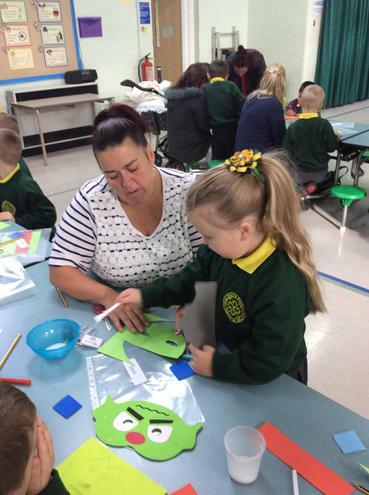 Today parents came to join their children in Key Stage to help to make masks of the characters in traditional tales. 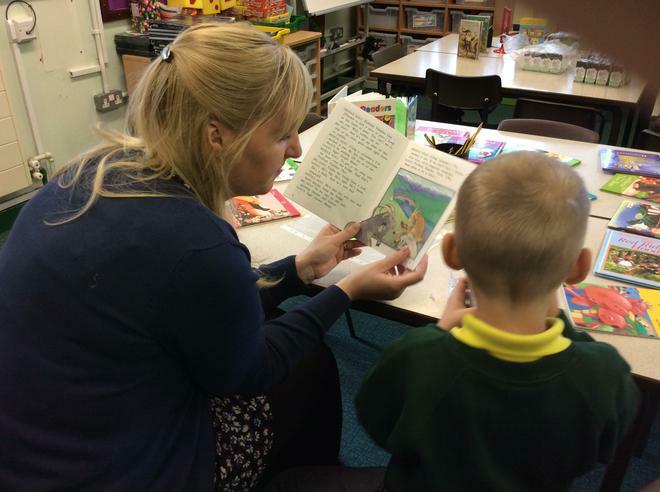 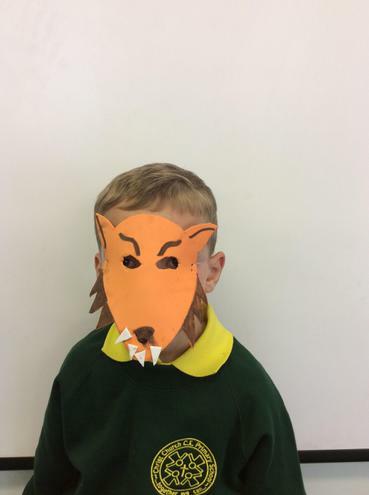 This will help the children to re-tell and act out parts of the tales they have been reading in class. 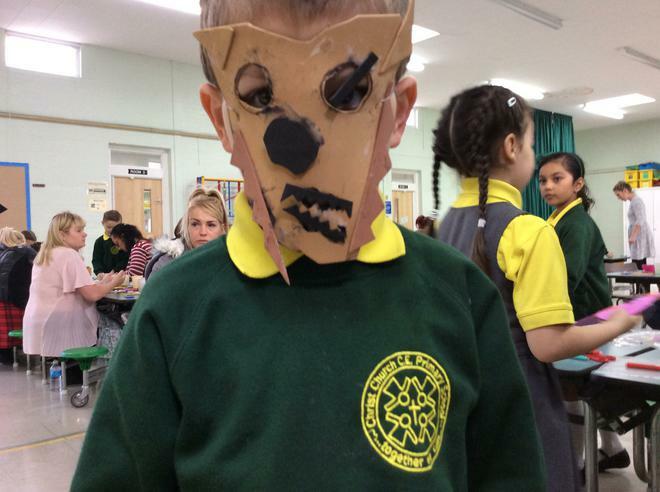 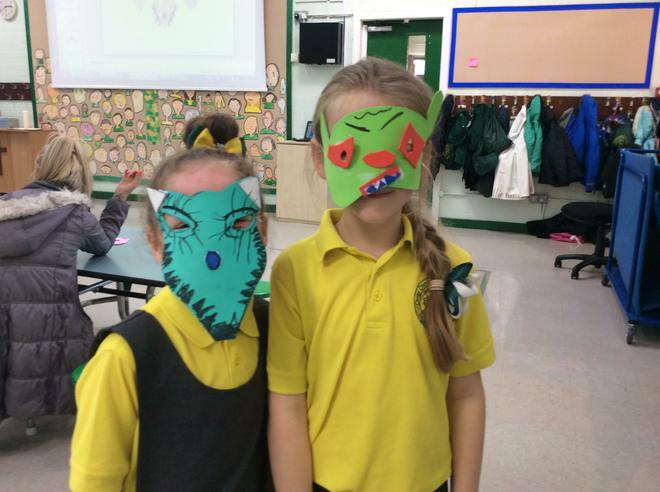 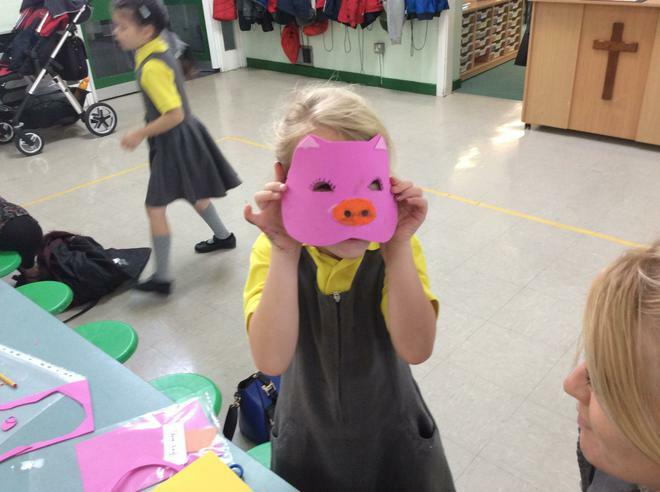 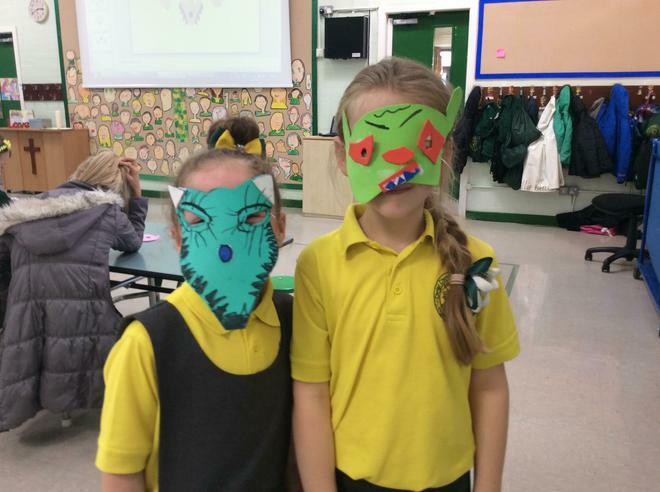 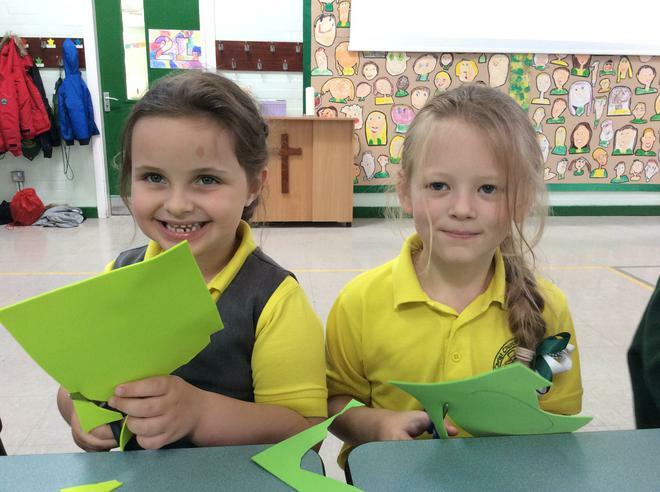 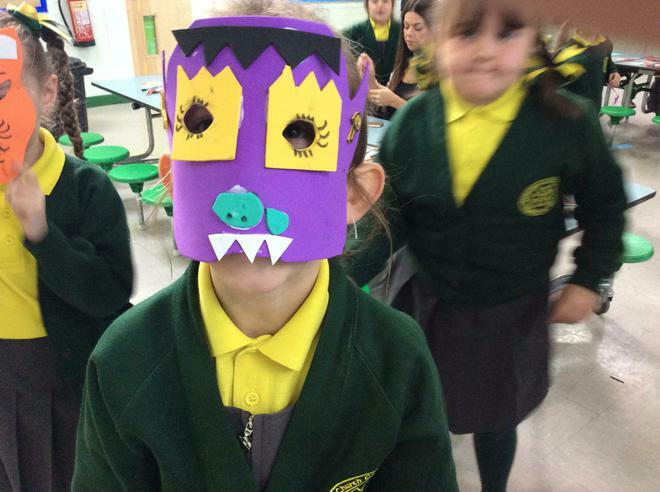 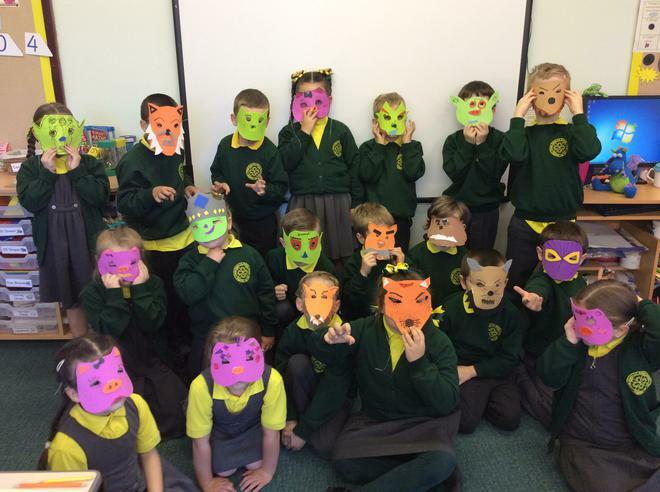 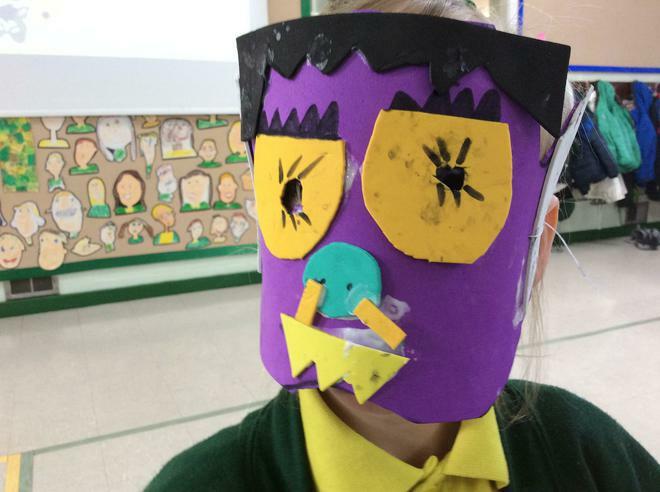 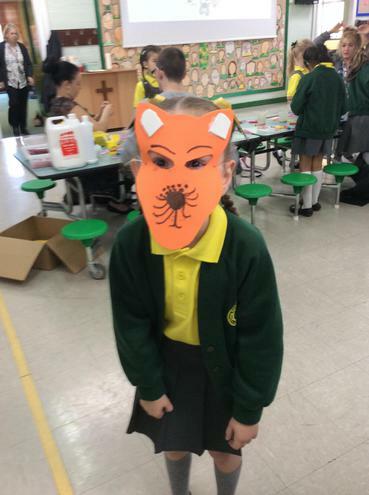 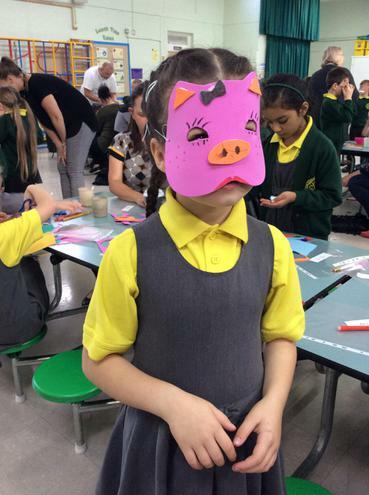 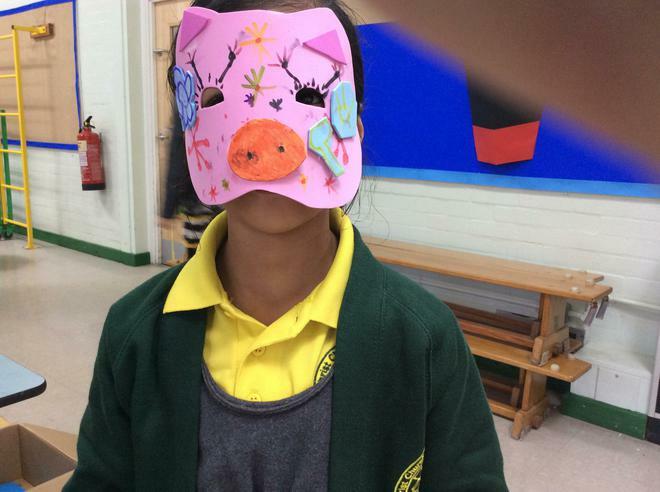 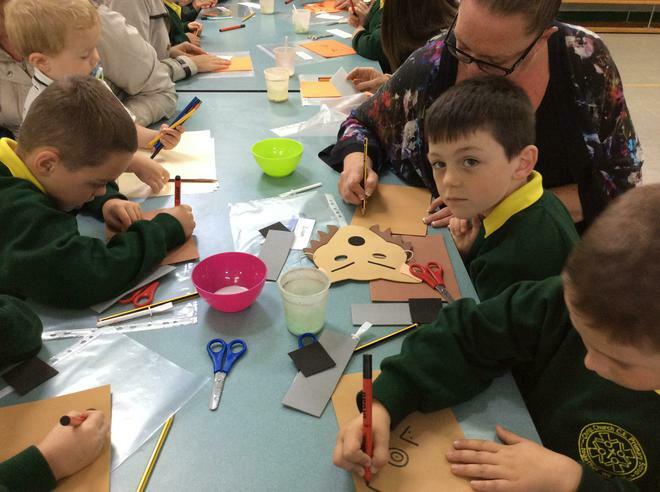 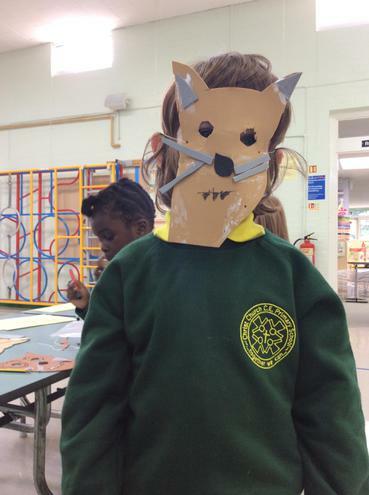 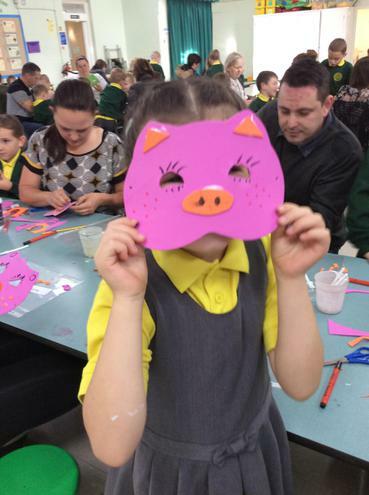 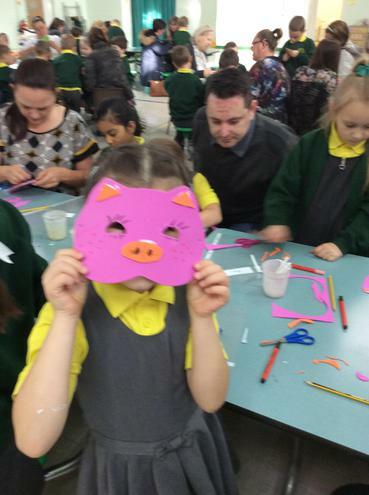 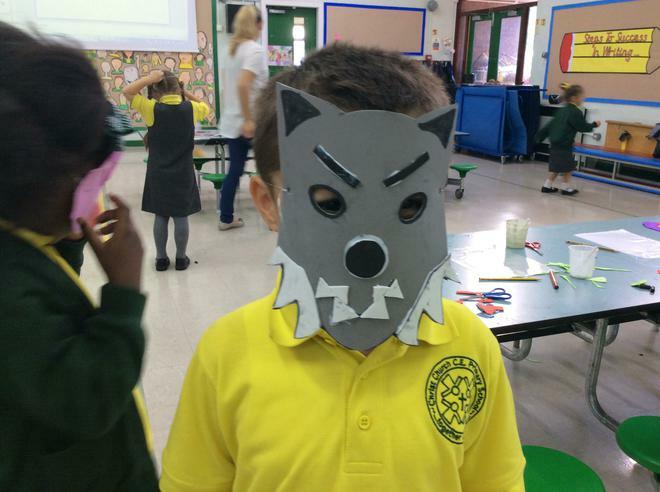 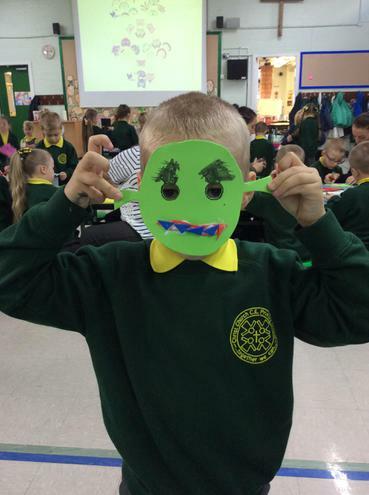 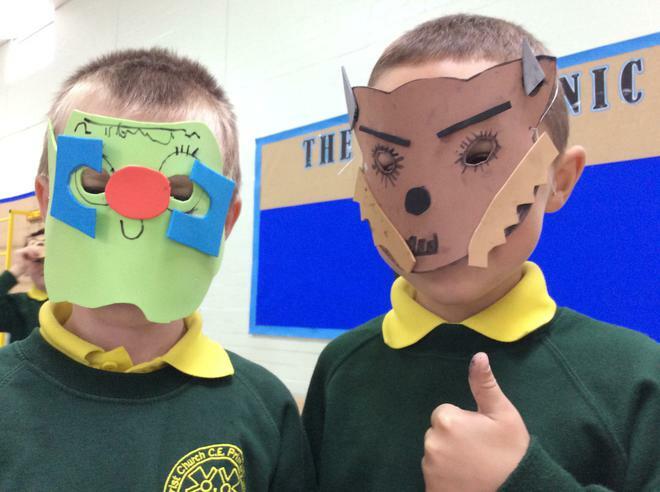 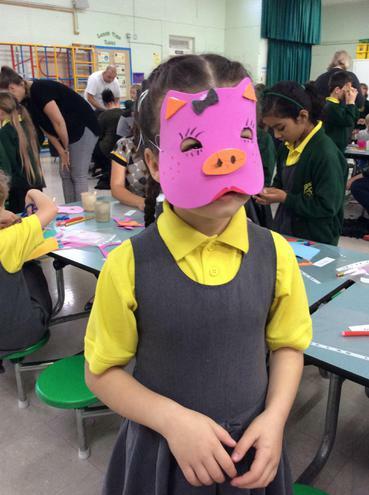 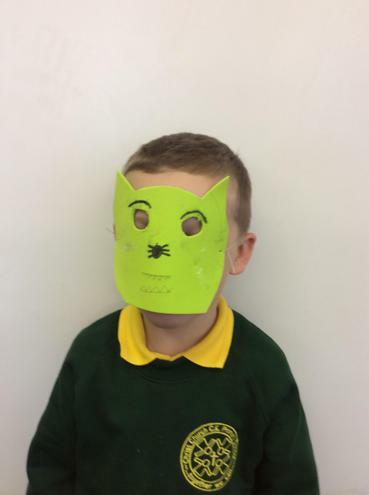 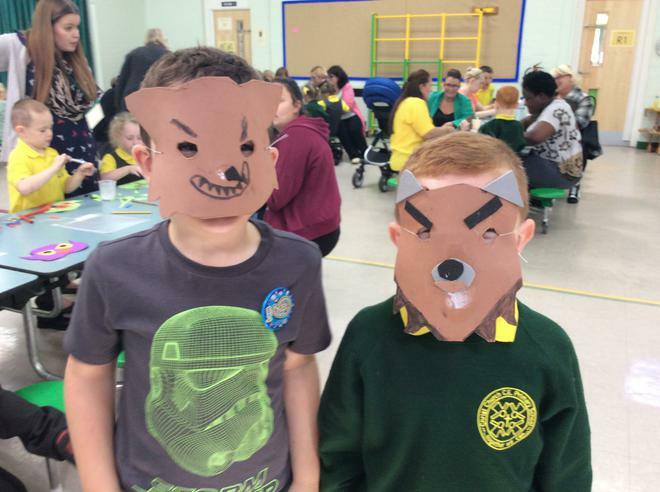 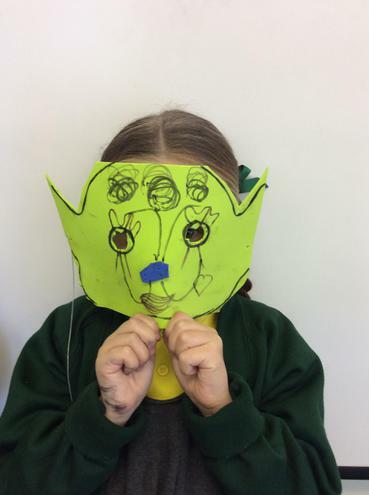 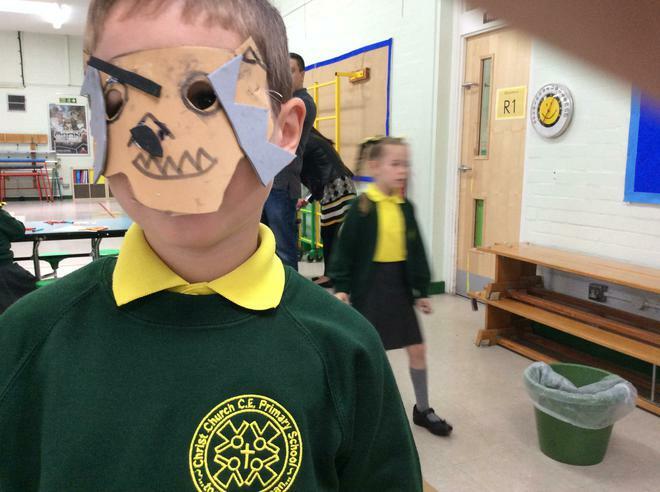 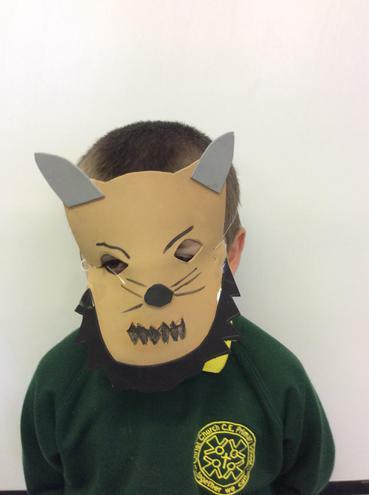 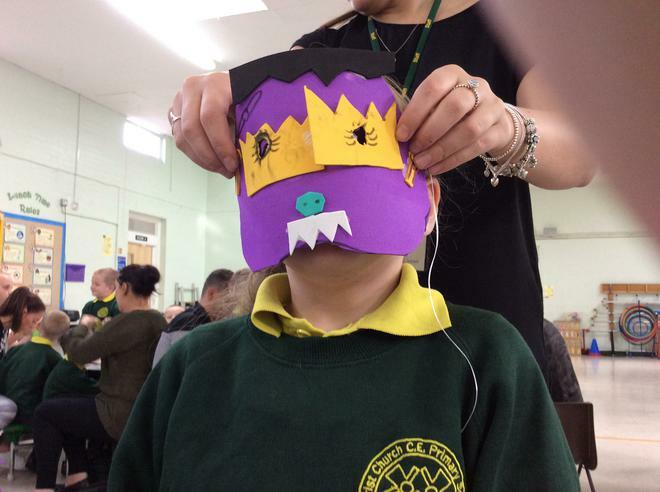 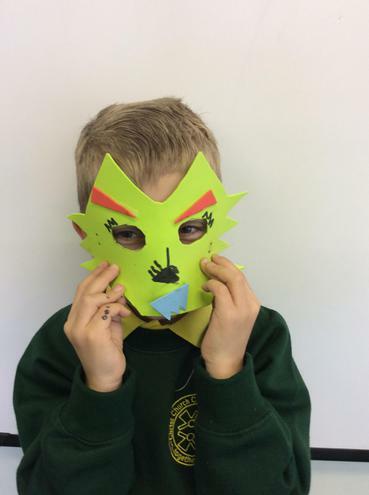 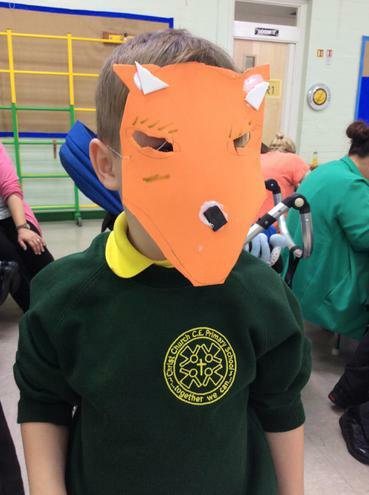 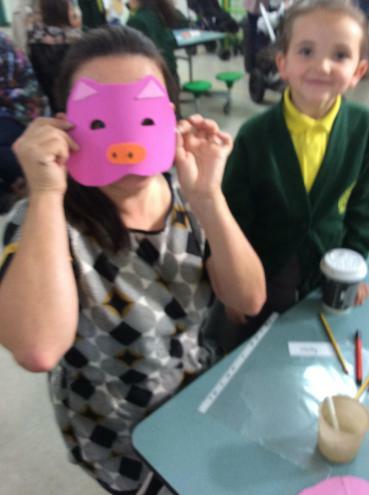 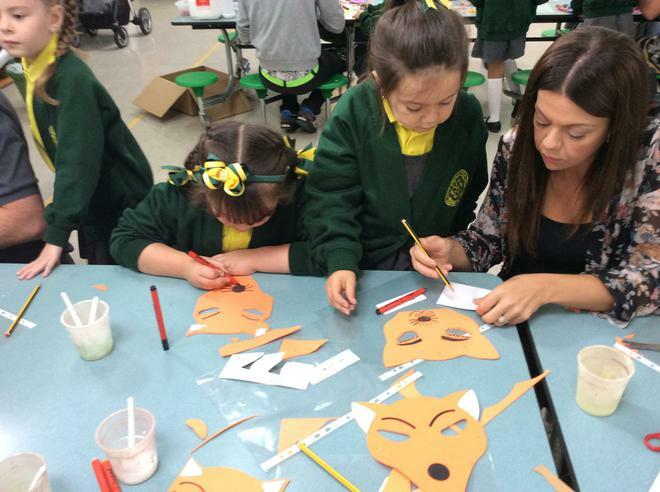 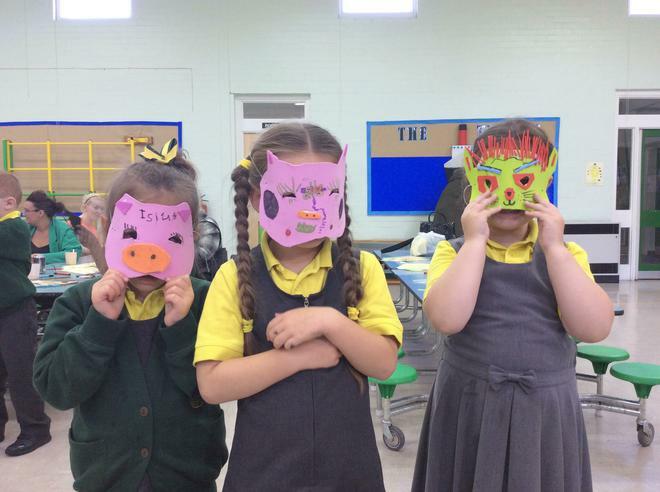 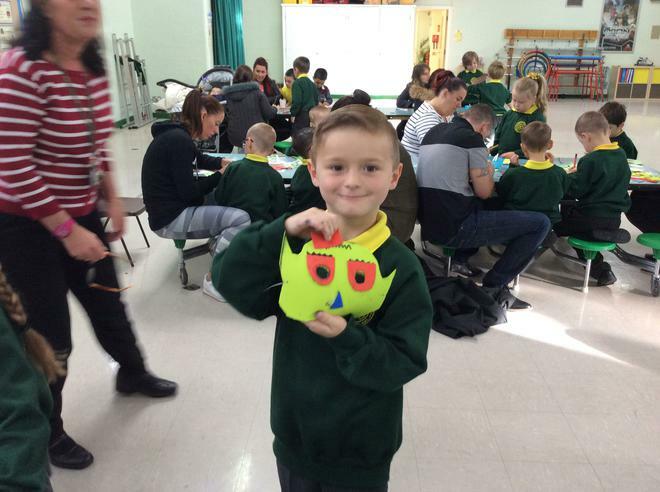 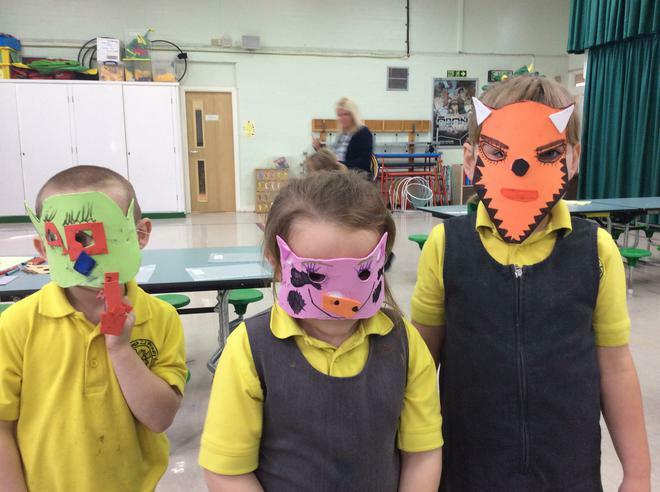 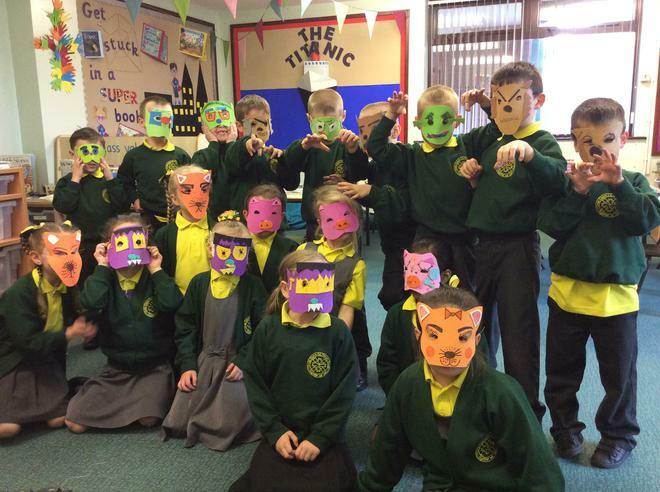 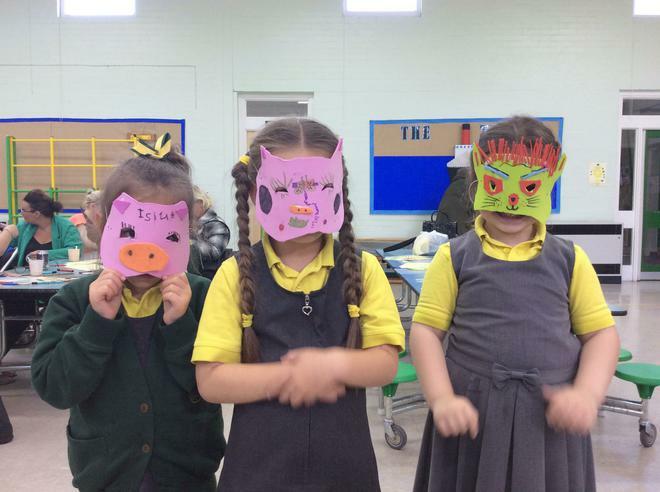 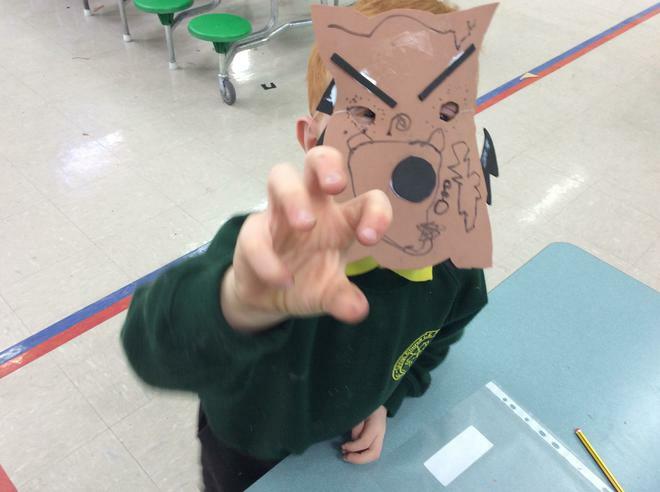 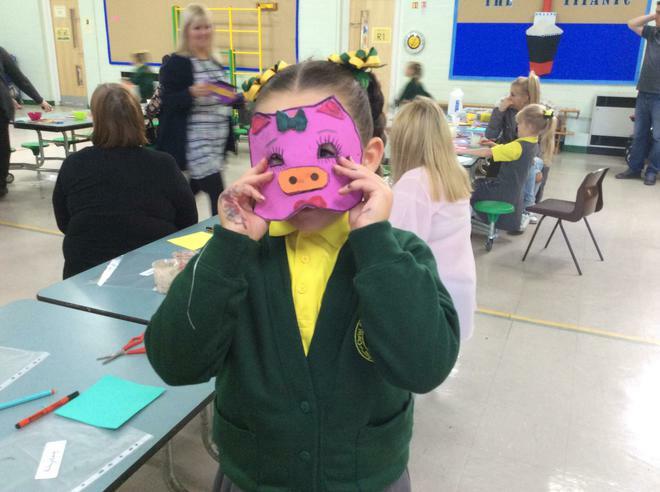 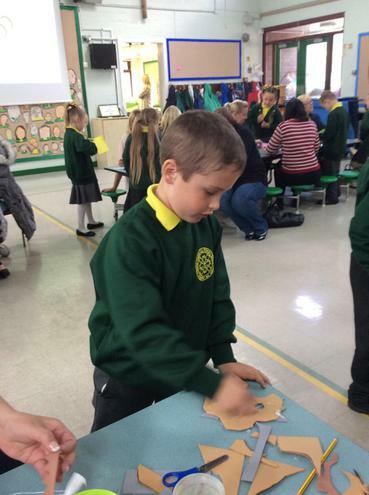 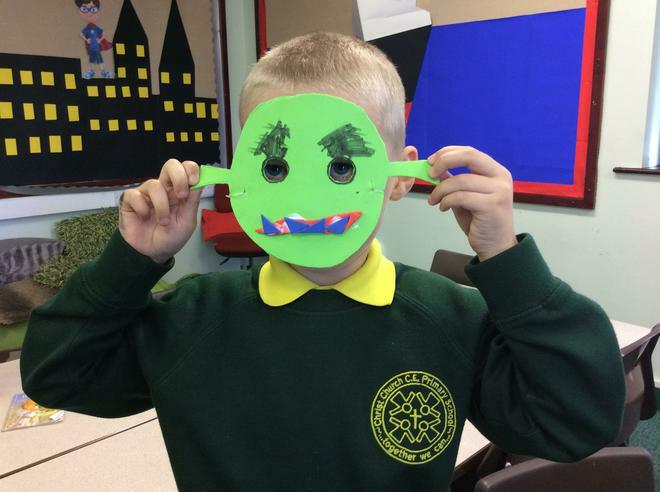 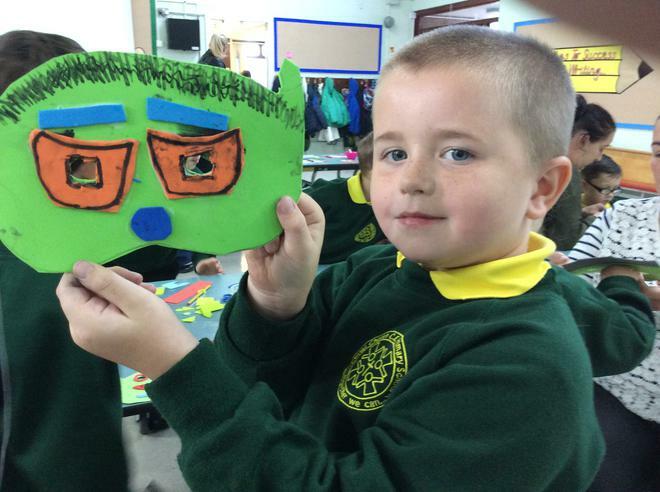 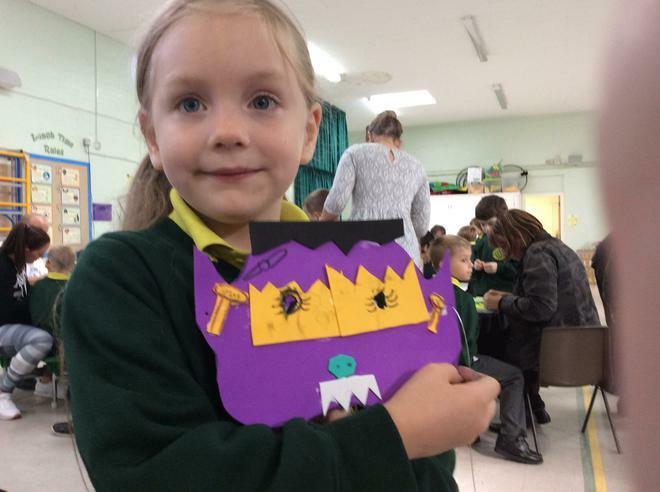 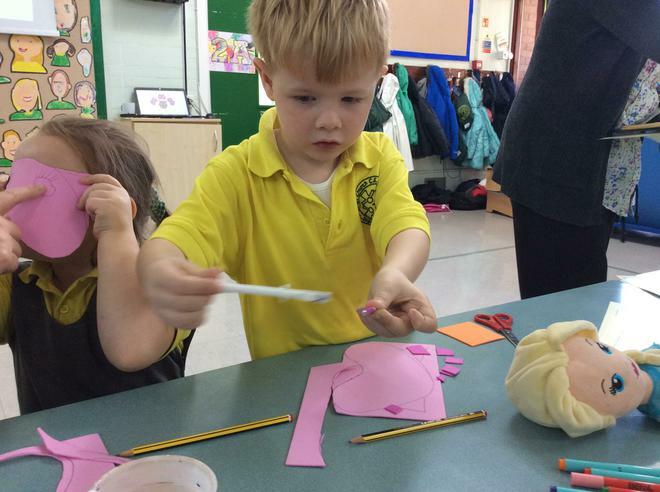 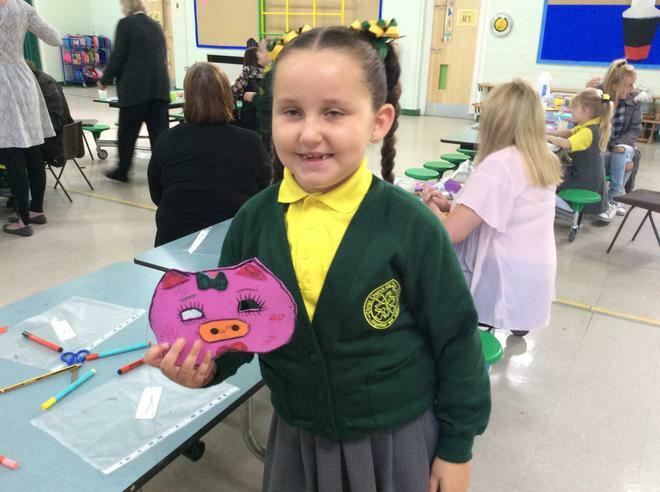 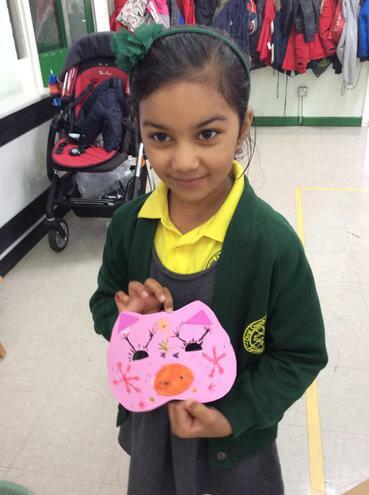 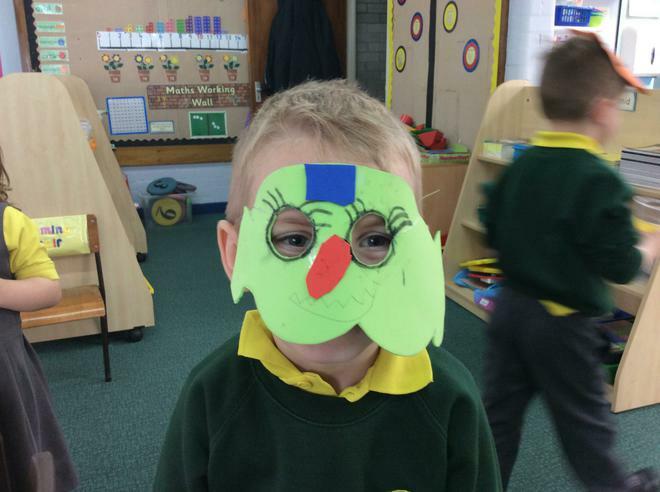 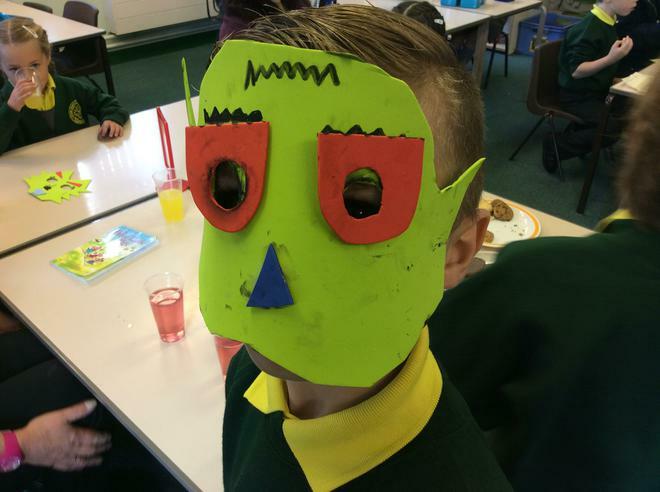 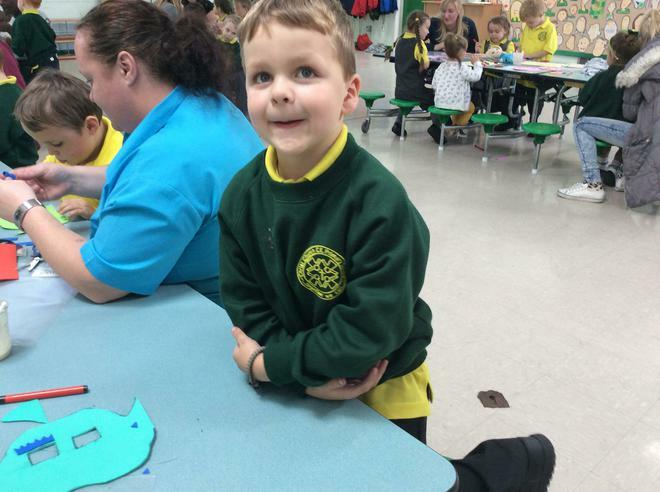 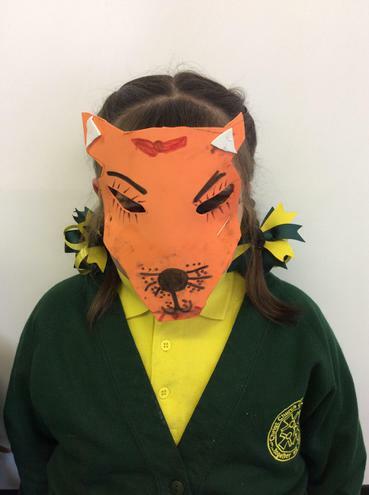 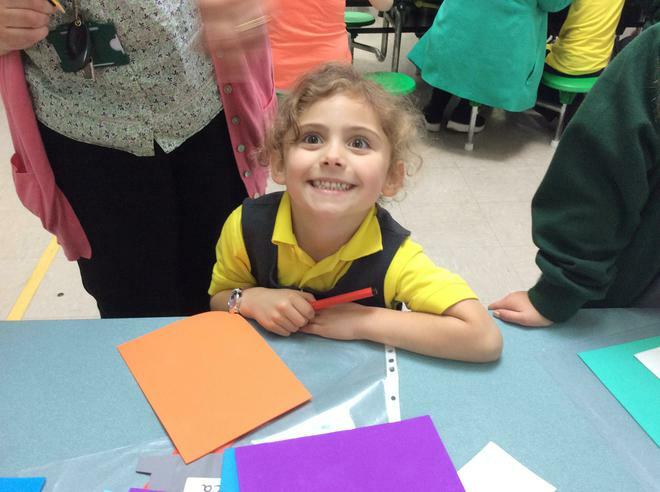 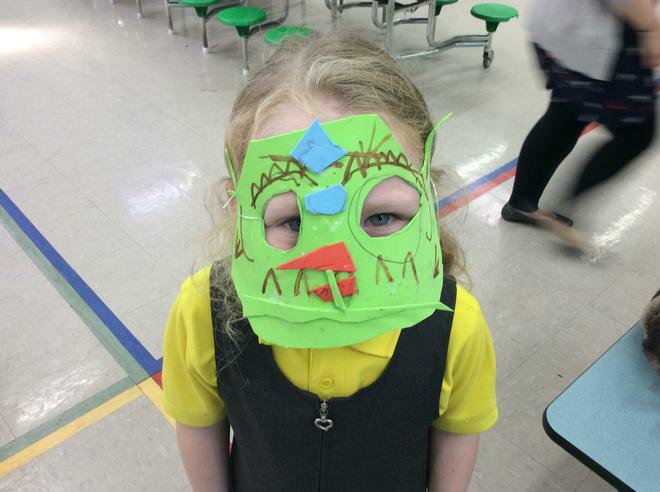 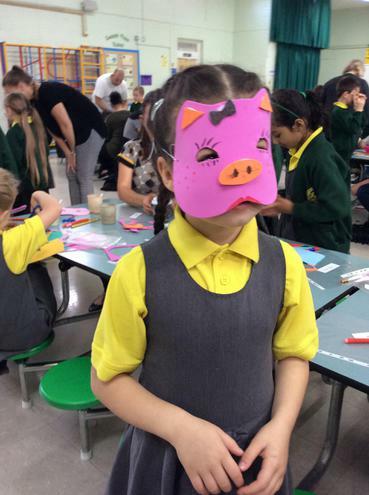 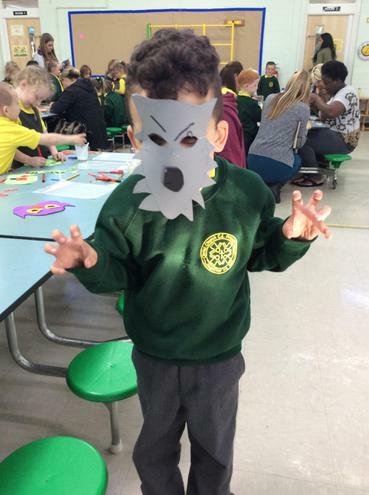 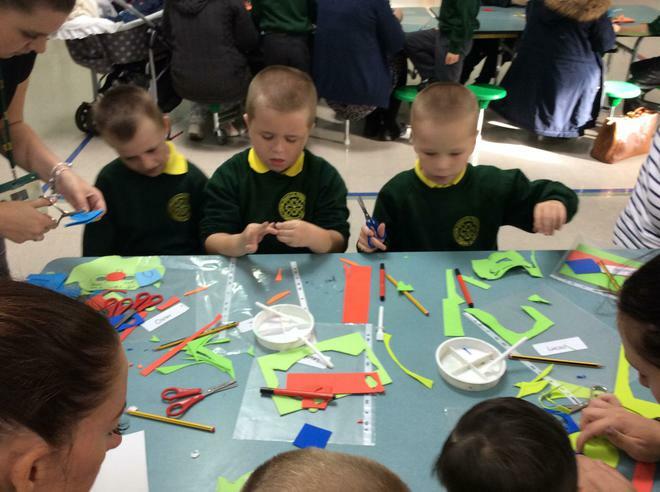 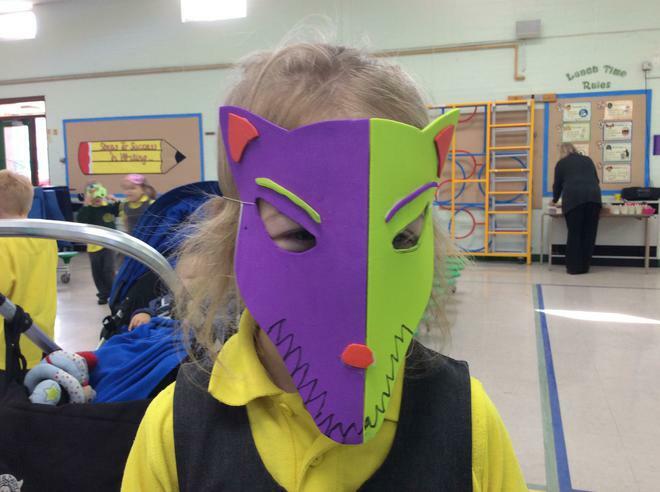 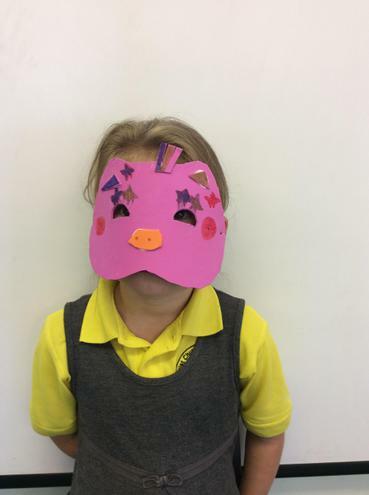 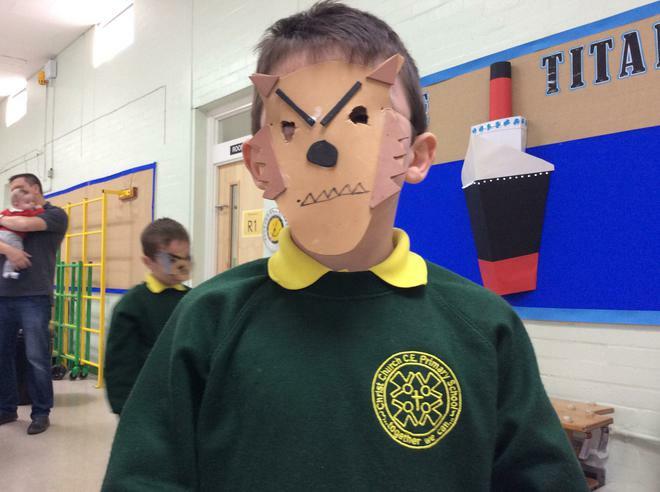 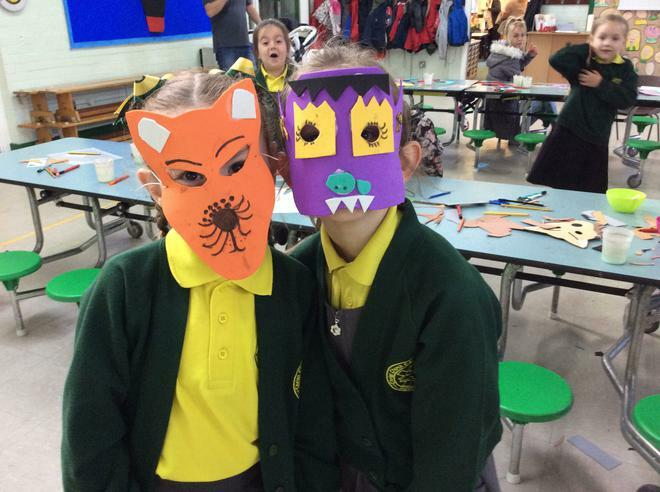 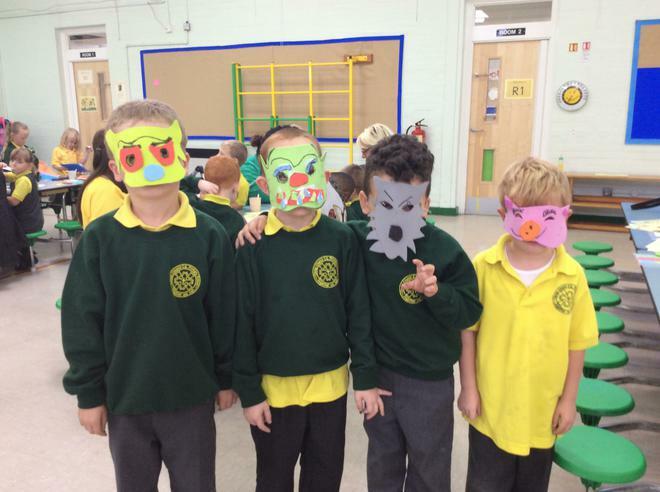 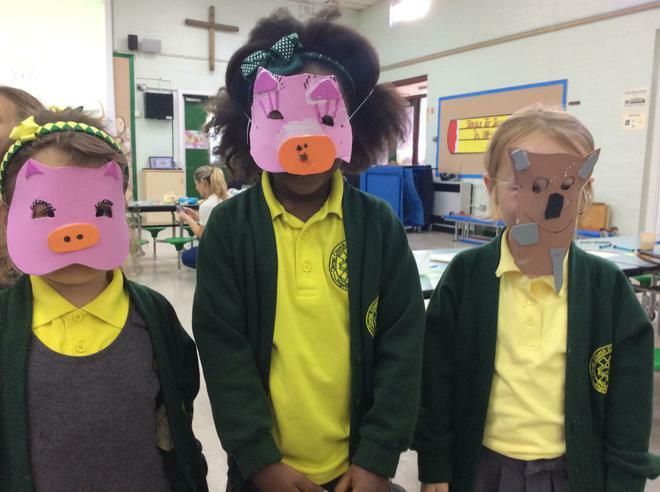 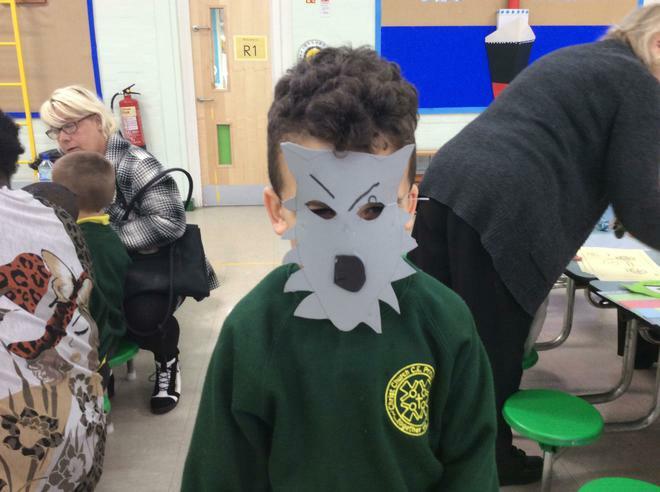 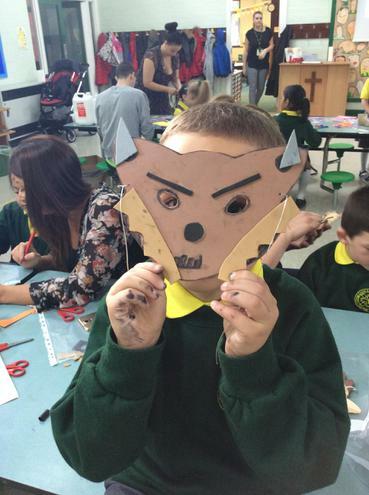 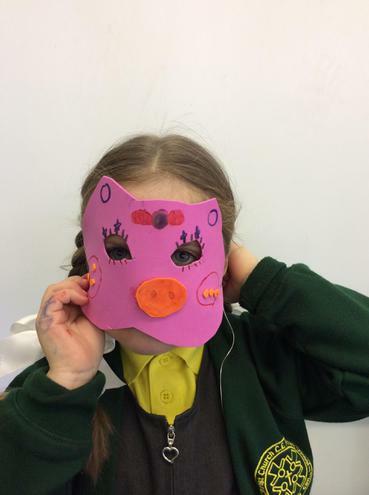 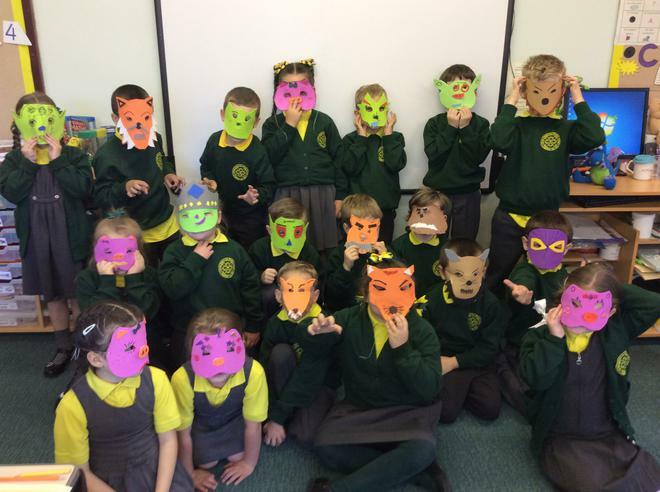 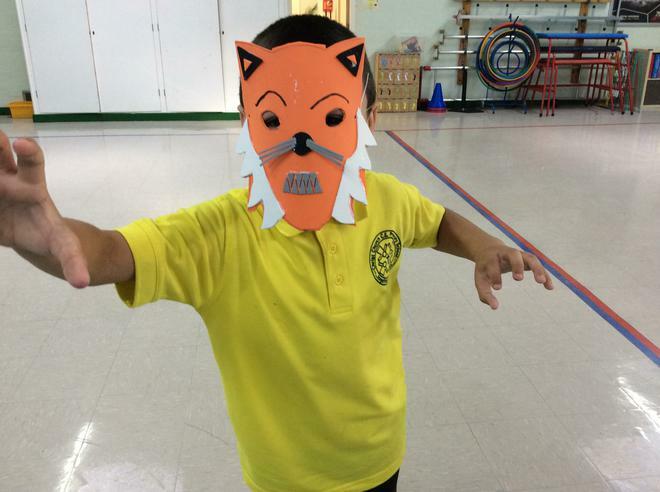 We had lots of fun making masks of cunning foxes, wicked wolves, little pigs and unsightly trolls! 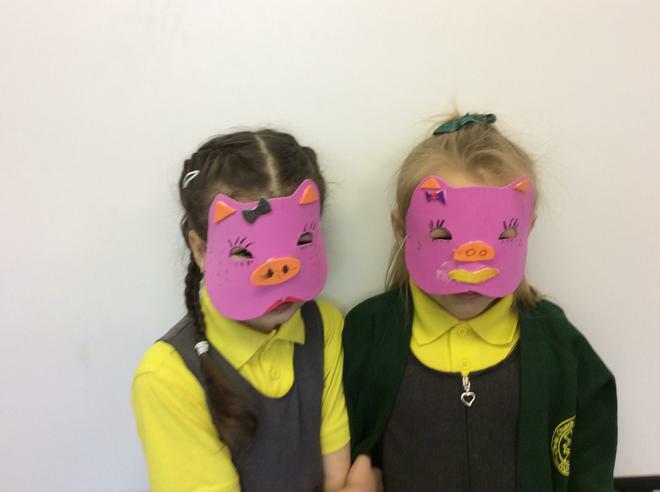 Have a look at our photos below!